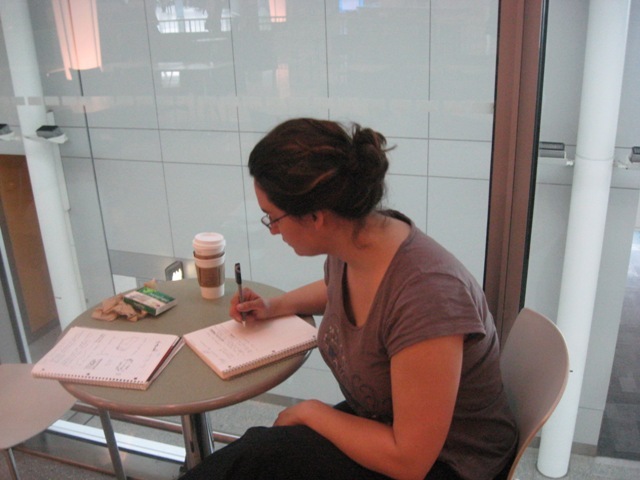 This is me in the Toronto Airport last week. It was the day before I was to give a short speech as part of “Ideas Powered by Passion”, in Sydney, and before the flight I was jotting down ideas for my talk. Later, on the plane, I wrote a first draft of a speech. Then I let it sit – didn’t look at it again – for another while. The next day (yes, the day of – I was cutting it close with this one! ), I practiced my speech by speaking it into a digital recorder. Then I listened back to it and decided what to keep, what to toss. For the Youth Social Enterprise Bootcamp speech, I typed the speech out and then printed it in a large font so I could read it easily at the podium. But, I didn’t love that – I felt a bit stilted and less natural, reading it, even though I can interpret it pretty well and still come off as a relaxed speaker. So this time I tried making just a double-sided sheet of main points, to kind of guide me as I gave the talk, but I found it didn’t work 100% either. I think what helped the most was the practice, really. I definitely forgot a couple of points once I was actually up there, at the podium, but because I had practiced the speech a bunch of times, I could kind of rely on my memory to help me overcome the nerves. Anyway, there should be video of my speech, as well as of the keynote speaker, Kate Oland, up in the next couple of weeks. That will be interesting – and also kind of weird – to watch myself giving a talk. I wonder what I’ll learn from it! 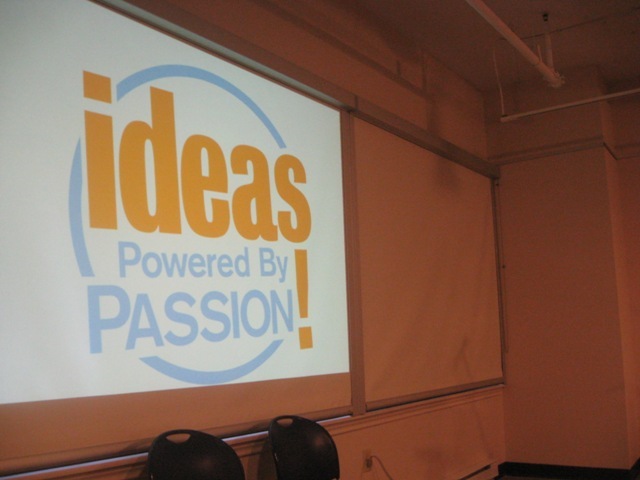 The event was “Ideas Powered by Passion,” which is sponsored and run by New Dawn Enterprises. It is a monthly talk series held in the Cape Breton Center for Craft and Design, on Charlotte Street in Sydney, and it is FREE to the public. I asked event coordinator Nicole Cammaert a few questions. What is exciting, for you, about being the coordinator of this event? IDEAS feels so fresh, welcome and timely. There exists a tangible excitement in the air about the changes that are afoot in this community, and IDEAS embodies that enthusiasm. It is said that, “if you don’t like what’ being said, change the conversation.” And that’s just what IDEAS is about. The notions and stories that are so thoughtfully and passionately shared are together courageous, thought-provoking, and deeply genuine. IDEAS gives me great hope for this community as it brings together the dreamers and the doers, who are most often found in the same being. The space IDEAS creates allows for both those voices to be heard and honoured, while sparking a wildfire of deep conversation moving toward a bright and new future. 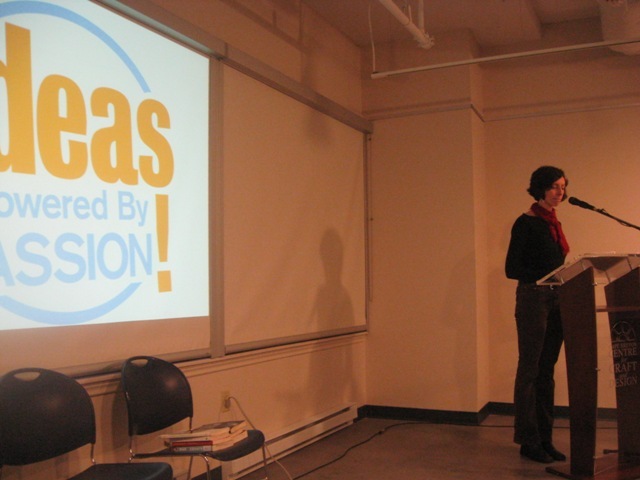 A wonderful momentum is being generated as IDEAS continues its third season. It is my hope that the organic nature of this series continues to evolve a deeply relevant and inspiring experience, while being an agent for change as people find ways to connect and build relationships over issues and ideas that matter on the human, ecological and global levels. One of the amazing outcomes of IDEAS is that we’re privy to see the paradigm shift happening in our community where a new style of leadership is being born and fostered; one where relationship building, collaboration, and creativity are at the heart of the change. It’s a true privilege to be involved in such a momentous and meaningful change, not to mention tremendously exciting! How many more IDEAS sessions are there this year? What are the plans for the future? We have two IDEAS: Powered by Passion talks remaining in this season. On May 23rd, Order of Canada recipient, Dr. Teresa MacNeil will be sharing her thoughts on how we “can be in charge of our own house”. She’ll explore why it’s vital that we reflect on the past in order to shift into a bright future. Teresa will help illustrate how some of the cultural, economic, social, and political influences keep us from being in charge of our own house. She says, “learning and experience are liberating factors”. 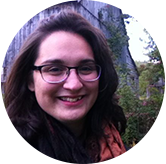 Joining Dr. MacNeil is Laura Schneider, CBU Art Gallery Curator, who will be speaking about an upcoming exhibition that invites people to explore their concepts of Cape Breton through the question, “The cup is half…”. Harp player and teacher, Jenny Tingley will share her unique talent playing both traditional, and not-so-traditional tunes on the Celtic Harp. Our final IDEAS talk of the season on June 13th will be an extra special evening as we focus entirely on voices from our youth. Four young people ranging in age from 14-25 will share their passions and perspectives, and what matters most to them in these changing times. We’ll also hear from from incredible young music talent! It’s sure to be a night to remember! 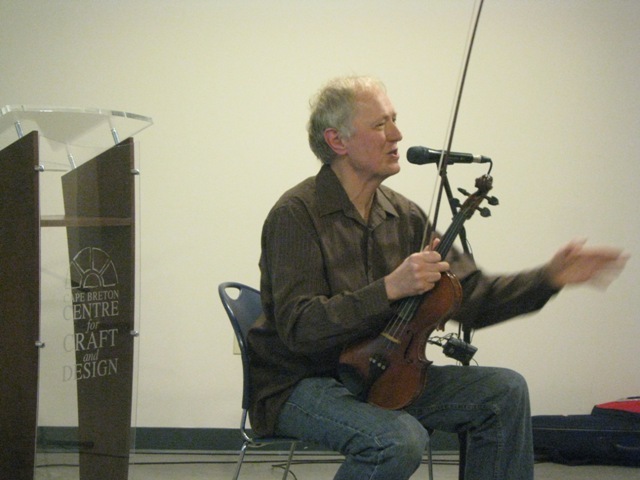 Paul Cranford provided the musical interlude. 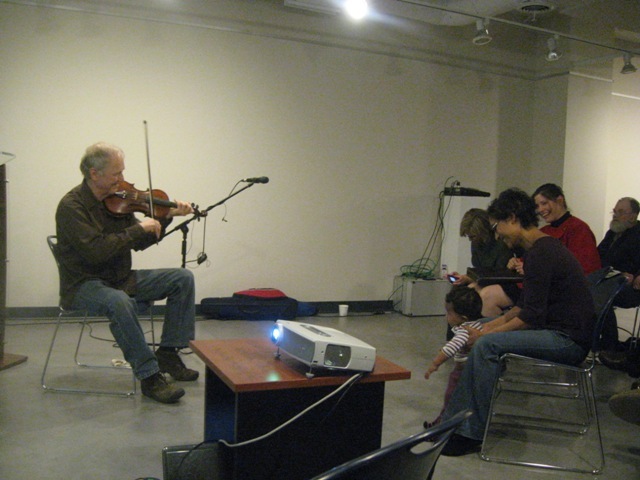 A feisty toddler in the front row kicked up his heels to the fiddle tunes. So cute! He nearly stole the whole show! Then Kate Oland took the podium. Her talk was insightful, intelligent, and oh-so-relevant. Like I mentioned, the video will be up soon, but to tide you over I asked her a couple of questions about her talk. In a nutshell, why do rural spaces matter? From a biological perspective, biodiversity is valuable because it provides a wealth of genetic information, adaptive behaviors, and coping strategies to ensure that life will survive through change and time. Ethnodiversity is a similar concept – the idea that human survival through change and time is ensured by having a wealth of cultural modes and lifeways. Rural spaces matter because the cultures of rural spaces provide us with a survival insurance policy on many levels. On the pragmatic level, sustainable rural spaces have the potential to improve our food security – our access to affordable, nutritious food grown with the minimum of environmental impact. On a philosophical level, rural cultures (and rural thinkers) are best placed to evolve a more viable compact with natural systems, and are among the few in our society whose direct relationship to nature affects their perspective. Those who are working to forge a new way of living with and in the countryside, and who are trying to work with nature instead of against it to grow food and provide energy, may become increasingly important as fossil fuel costs increase and industrial-scale agriculture becomes unworkable. What is a “monk agriculturalist”? A monk agriculturalist is a term I made up to describe people who work with the land to grow food for philosophical, ethical, or ideological reasons, more so than for purely economic reasons. It’s a catch-all term that covers the many small organic farmers, diligent gardeners, Permaculturalists, homesteaders, back-to-the-landers, etc. who have taken on the task of experimenting – both with the nuts and bolts of farming, and with humanity’s relationship to the natural world. 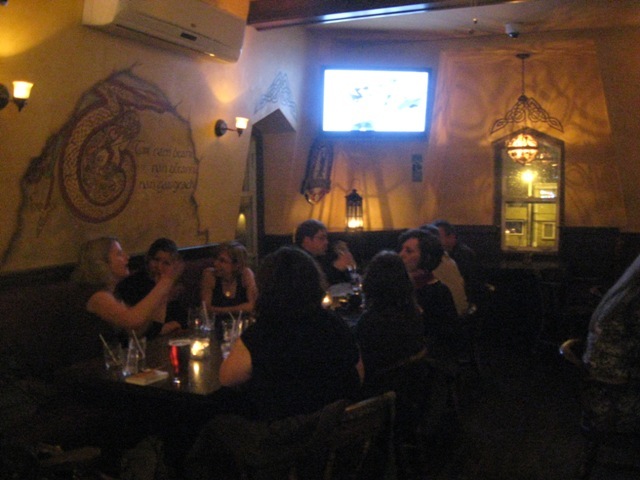 After the talk, some of us adjourned to a nearby pub (Governer’s) for some drinks and more chatting. I met some great new folks here that night! Then, around midnight, some of us were incredibly hungry, and drove around the city looking for somewhere serving food late at night. 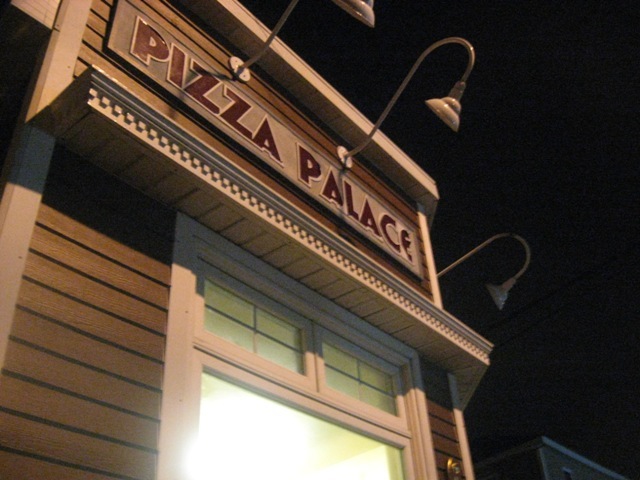 The only place we could find was this spot in Whitney Pier where we gorged on delicious, greasy, cheap pizza! The irony of eating this kind of food immediately after a talk about local food was not lost on us. But, neither was the tastiness of the donair burgers and the pep and cheese pizza. This entry was posted in Uncategorized and tagged agriculture, Cape Breton, Cape Breton Center for Craft and Design, community, music, New Dawn Enterprises, Sydney, Whitney Pier, writer. Bookmark the permalink.